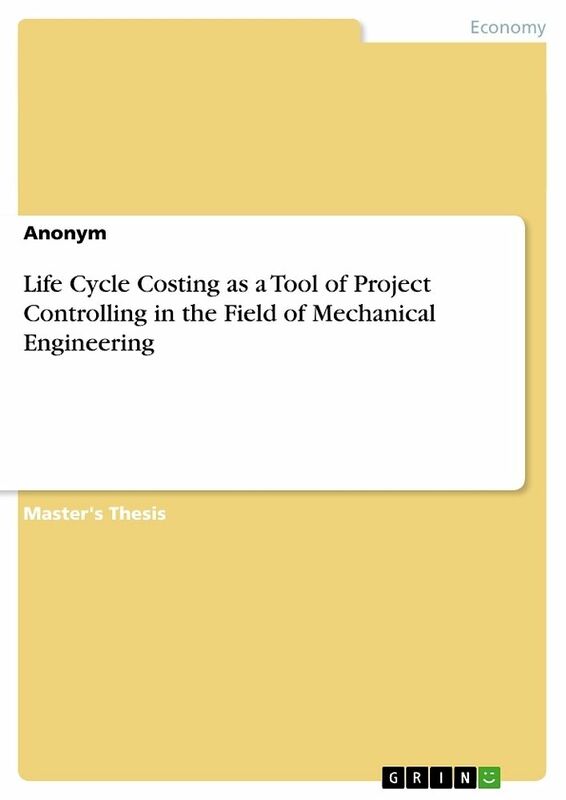 Master&apos;s Thesis from the year 2014 in the subject Business economics - Controlling, grade: 1,3, Technical University of Munich, language: English, abstract: Today, the purchase decision about machines and plants is not made on initial procurement costs alone, but rather on the life cycle costs as well. There is the danger that the machine&apos;s follow-up costs exceed the acquisition price. Therefore, the life cycle cost estimation increasingly becomes an essential tool for a cost-effective investment decision. This thesis investigates the life cycle cost calculation of machines and plants as an investment decision tool from the operator&apos;s perspective. 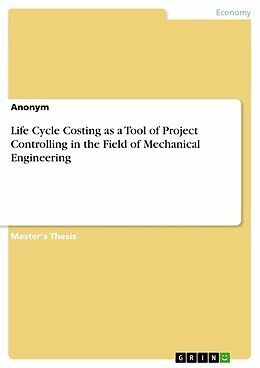 After outlining the significance and conception of life cycle costing in the field of mechanical engineering, existing cost estimation models and approaches, as well as specific values of dependability, are presented. Therein, especially the problematic nature of operation cost (follow-up cost) estimation, caused mainly by maintenance and repair costs, is discussed. In order to improve the life cycle cost estimation, along with some proposals for enhancing the existing methods, a new approach based on the Weibull and Gamma distribution is provided with focus on failure related repair costs. In this context, the aspects of standardisation, uncertainty and discounting are carved out. Due to the fact that operators increasingly demand for cost guarantee contracts, contract design recommendations are facilitated. Finally, the life cycle cost concept as an operator&apos;s purchase decision tool about machines and plants is assessed and summarised in regard to its practicality.